A life in music, that had been my dream ever since I had picked up the guitar in 1963 , after hearing The Beatles on the BBC as a young sprog living in England. Just six years later I recorded my first album, settings of poems from J R R Tolkien’s Lord Of the Rings and The Hobbit. I now lived in Vancouver having emigrated with my family from the U K to Canada in October 1965. However, Christopher Tolkien would not give his permission for the album to be released, a major disappointment to say the least. After various adventures in bands in the U K and Germany, I ‘emigrated’ to Toronto, and in 1983, my second album, The Gardening Club was independently released, to deafening silence, turned down by every major record company in Canada. By 2001 I had returned to playing and performing and recorded ‘Blue Evening’, with a stellar band of Toronto musicians called Freefall. Once again I couldn’t get arrested. My desire to write and play continued to drive me on to create through all these disappointments. Some doubted my sanity. I admit I have all the business sense of a small carrot. The digital revolution changed everything as I could now record in my home studio. Gradually I found myself writing about a certain theme; why create music if no one is listening? The answer to this is long and rambling, suffice to say, I had no choice, this was simply the way I saw and felt the world, my experiences always filtered through music and art. To quote one of the song titles on the album, I am ‘Wired For Sound’. 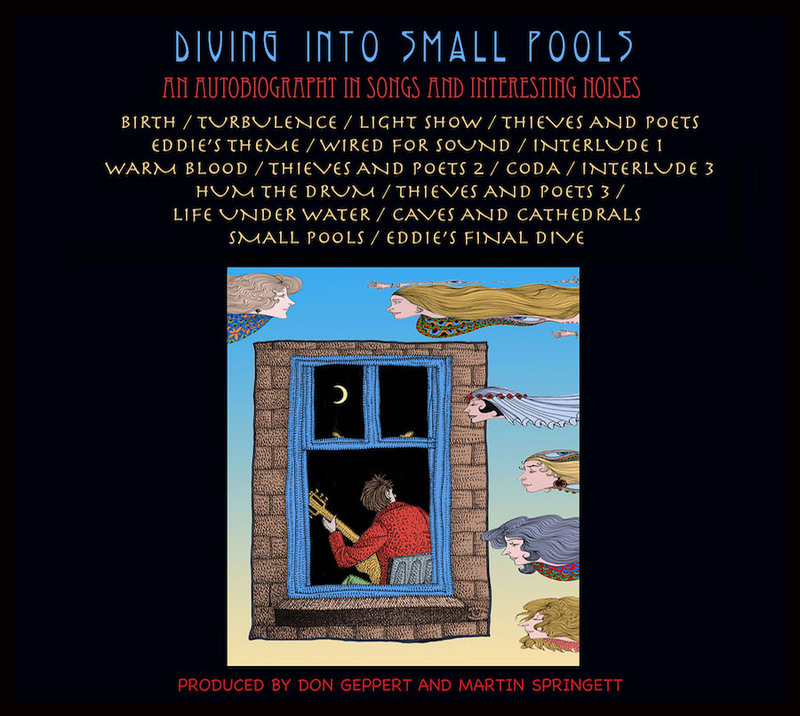 I had met many odd and amusing characters in my travels in the music biz, and as I began to think about the arc of what was now called, Diving Into Small Pools’, it became apparent that I could use some of these amusing experiences as links between songs. This idea became rather unwieldy and interrupted the flow of the music, so I cut back on the idea. But I realized that humour was a great contrast to the more serious side of the project [my emerging autobiography]. Eddie Fielder, (my altered ego), popped up to narrate the interludes and generally annoy everyone. I had no idea I would need him so much. Thanks Eddie. He almost has the last word! 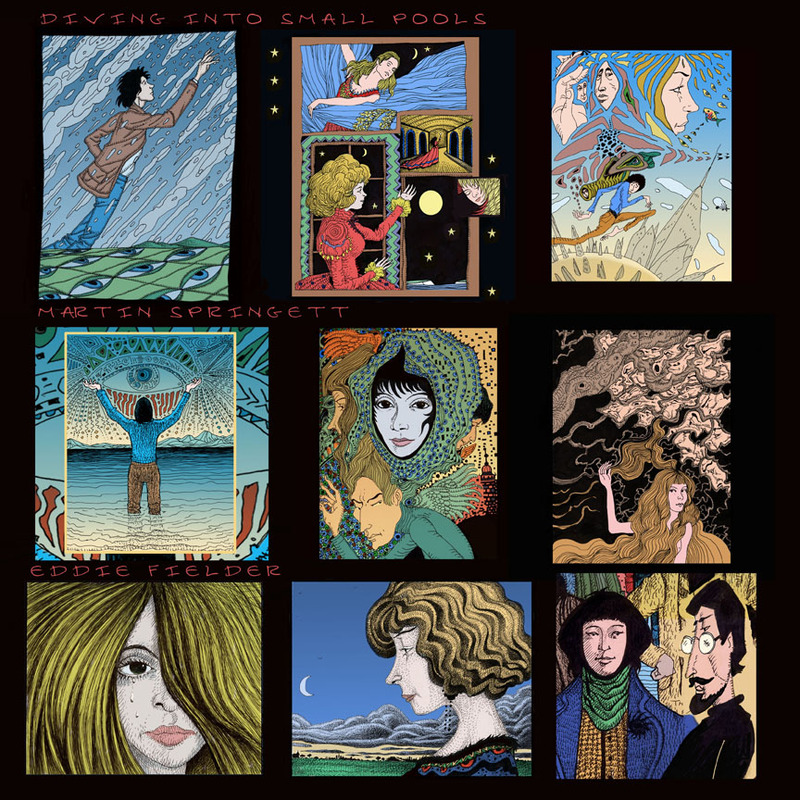 Welcome to Diving Into Small Pools, my autobiographical journey in song. 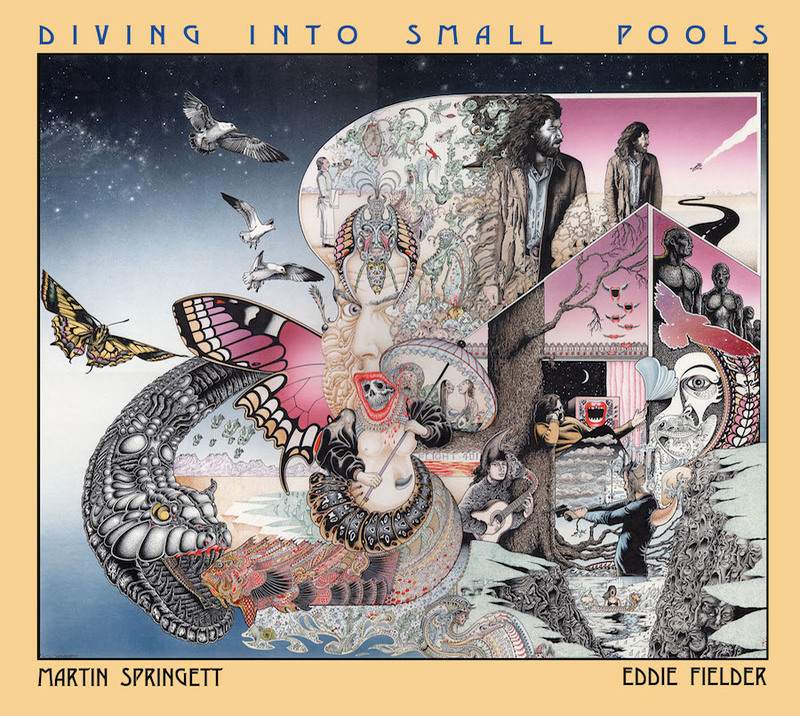 When you buy The Riddle you will also receive Diving Into Small Pools, Martin Springett’s autobiography in Song and Interesting Noises; an eccentric ramble through Martin’s music career, which has had more than it’s fair share of ups and downs! The CD comes with more of Martin’s visual signature, wrapping around this cool cornucopia of eighteen songs and Eddie’s interludes! Martin Springett makes art with images. He did the covers for Guy Gavriel Kay’s Fionavar Trilogy, back when (I *know* some of you had those on your wall in university). He also did the cover for my first novel, A Telling of Stars, and the interior illustrations for my latest. He makes art with sound, too. His latest CD is a wonderful thing: a trippy trip through his musical past, full of yearning and wryness and some sharp and spiky edges (plus a pretty fantastic maniacal laugh). Here’s where you can find it. Go on: dive into small pools with him. You’ll never have heard anything like it. Caitlin Sweet, author of A Telling of Stars, The Silences of Home and The Pattern Scars.